Here is my latest assignment. I am very unhappy about the blocking but once you are in polishing it is too late to go back to it. I am now trying to make the most of it and learn from my mistakes. Stretchy rig or broken Bishop? Just when I am under pressure guess what I have to cope with…. look at his left arm and his ankle. This is what happen when a rig doesn’t want to behave…. Bishop has been severly bruised for not doing what I ordered him to do! let’s face it. I haven’t touched any of the shots for the past 3 month so I might as well just post it for real this time. There is still a lot of work but once I put it online I won’t have any excuses not to improve it anymore. Do you see my title here? I need to blog about this. I went to get a credit card at the Natwest Earl’s court branch for a friend of mine who lives abroad and was told to ask for a specific member of staff. When I enquired about it at the Information Desk I got told that I would need a letter to pick up a credit card. I explained the situation very carefully and clearly and the fact that I was told to speak with a very specific member of the staff but she said the same thing: “no letter, no card”. I don’t really have time to hang around in Banks and before heading home asked her if she was sure about it to which she replied. “Do you see my title here?” pointing at her name tag…. It reads V. F. Customer Service Officer. I am not too sure what kind of customer service we are talking about here but certainly not the kind of customer service I will ever want to be treated with. A person with a condescending attitude to me has got nothing to do with customer service. Natwest Earl’s court don’t expect me to recommend you to anyone. 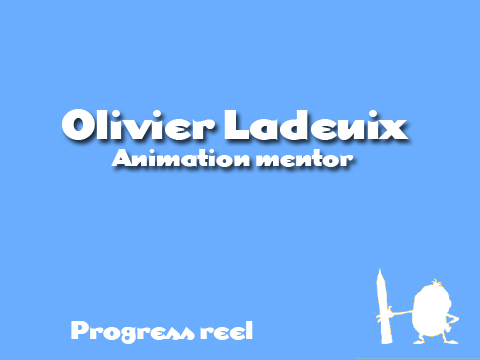 I am finally back at Animation Mentor after a break of 3 month. What did I do during that time? I think I made the most of it. I spent 8 weeks with Keith Lango and the APT program, I tried to learn Zbrush and Maya a bit better, I also spent a bit of time with XSI and met plenty of great people. I caught up with my friend Richard Helliwell (which I first met during the Anatomy for digital artists at Escape), Young Min, who used to work for me and who introduced me to Seung Ho Henrik Holmberg. Check out his blog http://henrik.cgcommunity.com/ he is a very talented artist who at 26 years old already worked for ILM, Dreamworks and now MPC. Yep… just that. I also met plenty of other crazy people that I won’t mention or you wouldn’t believe me. Let’s say that Soho is a very small place. Keith’s APT was excellent, and I would highly recommend it to anyone who really wants to push his animation skills forward. I didn’t have too much time for it unfortunately but I feel that he helped me greatly. I am much more confident now to approach a new shot. I finally know where I am going and I don’t feel lost like before. My new mentor at AM this term is ex CalArt student Morgan Kelly http://www.morgankelly.blogspot.com/ who currently works at Dreamworks. 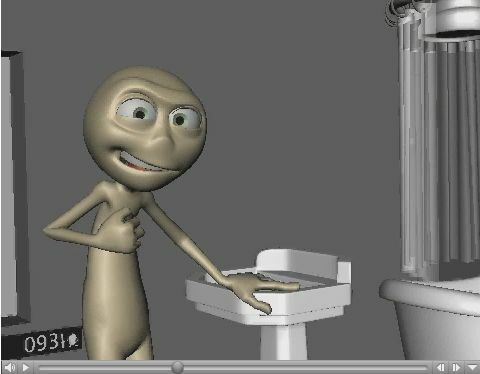 I loved Flushed Away and hopefully he worked on it. Tonight 5am GMT is our first Q&A. Not too sure how I am gonna wake up yet but I will. My Class3 one character shot really sucked but we will see how it goes. I am also finishing some work on www.monza-interiors.co.uk and hopefully the website will go live tonight. I mainly worked on the backend and Sergio provided the template. It is the first time I am relying entirely on CSS for the design and I even tried a bit of Ajax. It is hopefully the last time I get involved into such a project and from now on I intend to only stick to 3d work. 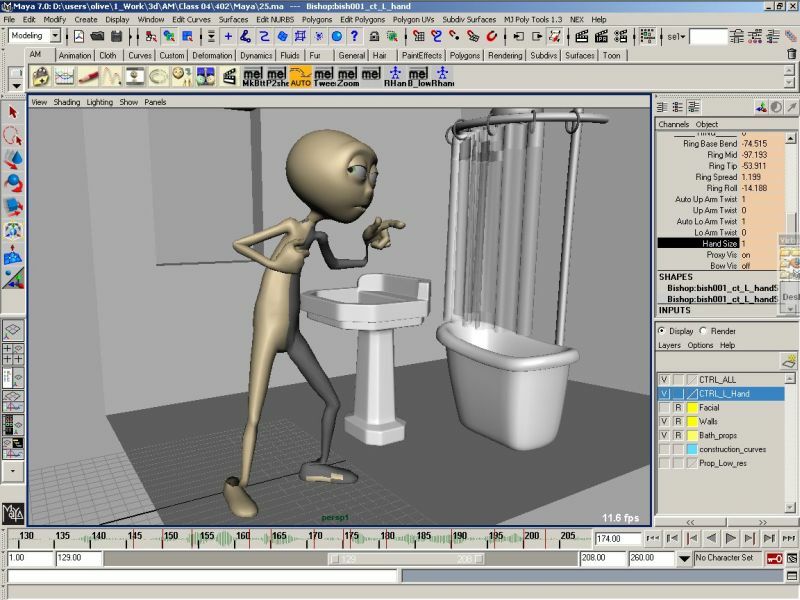 Animation obviously and also Modeling if possible. Mudbox, Zbrush, Modo2 made modeling so approachable that it would be a shame not to give it a try. Regarding drawing, I won’t go to life drawing classes anymore as the ones here are not suited to animators. I picked up a few books, watched several 2d shots from Jason Ryan and few Glen Villpu lectures, tried my hand at 2d animation and I feel that I am on the verge of discovering the graal. I will tell you more about it later. Crazy stuff! Make your own Wacom Cintiq and possibly a tablet PC on the cheap. I found a very interesting article where a guy is mounting a LCD screen over a Wacom sensor board in order to build a cheap Cintiq. Bare in mind that he only uses second hand parts bought on ebay, like a very old Ultra pad Wacom tablet. It is obviously possible to do it with brand new parts like an Intuos3 and some other people have even transformed their Powerbook into a TabletPC. A real Tablet PC is a bit more than just an lcd over a wacom tablet but that does the trick for most people including me. I finally found a use for my old UltraPad tablet that was gathering dust for month unless I finally decide to buy a real Table PC.